October 2018 ~ I Can Do That! I haven't heard of fathead dough. I read about it a week ago from someone who lost a lot of weight by partial fasting, that is, not eating anything after dinner until lunch the next day. 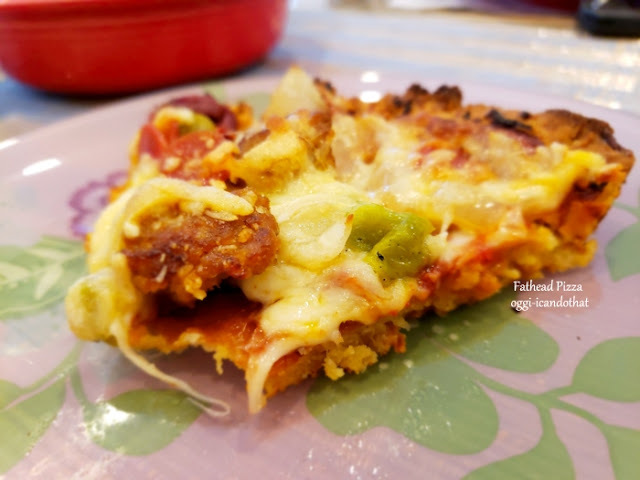 He combined the fasting with low carb diet recommending the fathead pizza dough. I tried it but it was not satisfactory because it came out too pale and soft. I rarely buy okra because I can't stand its slimy texture. When I do cook them, it's on a very high heat dry cast iron pan which somehow reduces the slime. 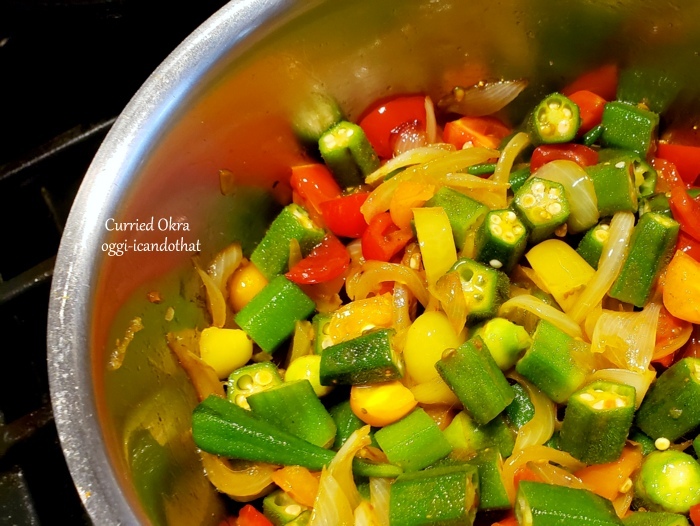 Yesterday, I asked an Indian lady at the store for recipe recommendation and she said to saute sliced onions, add the okra and stir fry over high heat, then add add a little curry powder just to flavor it a bit. Some coarsely chopped different colored cherry tomatoes make the dish colorful and add nutrition too.